Facing a criminal offense is a serious matter best managed by a criminal defense lawyer with skill and experience defending the rights of people who find themselves entangled in the criminal justice system in Texas. 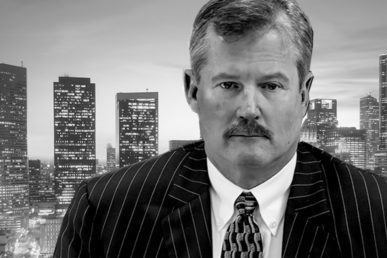 Houston criminal defense attorney Jack B. Carroll is one of the best options available to anyone seeking legal representation on a criminal matter. With nearly 30 years of work experience as a criminal defense attorney, Jack B. Carroll is also Board Certified by the Texas Board of Legal Specialization in criminal law. He has a healthy record of winning cases on behalf of his clients and had demonstrated his ability to effective on behalf of his clients. Attorney Jack B. Carroll is an accomplished lawyer. He handles anything from cases in which the defendant was accused of the possession of small amounts of marijuana, on up to full blown federal drug conspiracy cases involving thousands of kilos of cocaine. In fact, Jack won one case in which his client was found not guilty of a drug crime involving 100’s of kilos of cocaine – in federal court. If you ever need the legal services of one of the best criminal defense lawyers in Houston, we recommend making contact with Jack B. Carroll by calling 713-228-4607 today.